Enhance the decor in your kitchen or bathroom with the Liberty 3-3/4 in. Martini Classic Pull. The die cast zinc body comes in a satin nickel finish. The pull features a 3-3/4 in. center-to-center rear-mount installation. 4 in. or 4 3/4 in. 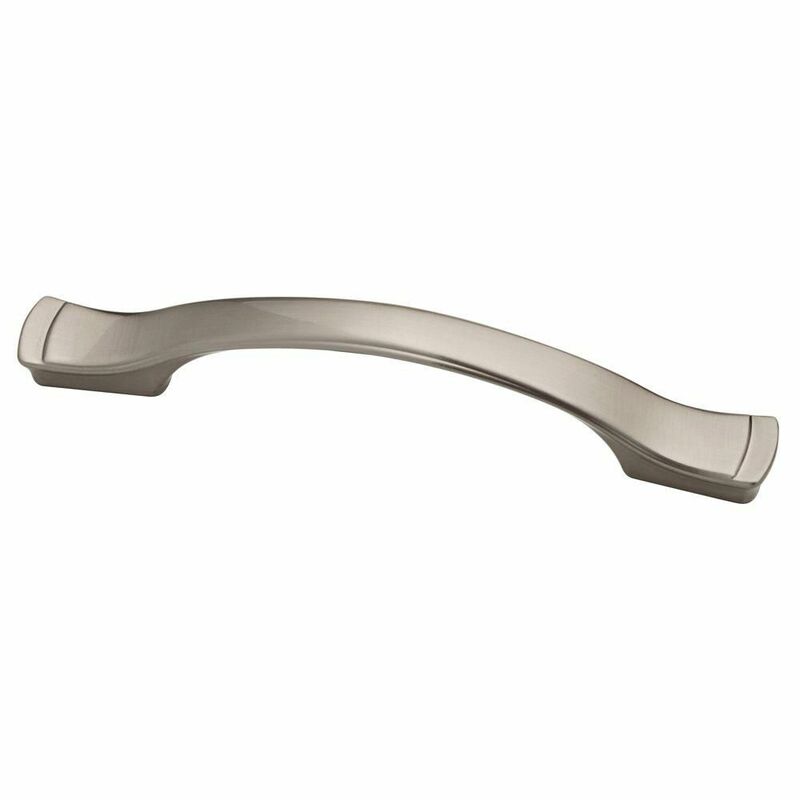 Dual Mount Step Edge Pull From Liberty Hardware, the Step Edge Pull is a classic design that will complement traditional or casual style cabinetry or furniture. Crafted from die-cast zinc for long lasting quality and durability. Installation hardware is included and multiple finishes are available. 4 in. or 4 3/4 in. Dual Mount Step Edge Pull is rated 4.8 out of 5 by 42. Rated 5 out of 5 by Fran from Looks great. Easy to grip. Love the finish. ... Looks great. Easy to grip. Love the finish. Rated 5 out of 5 by HomeOwner from Very nice satin handles come with two different pairs of machine screw that most likely will fit ... Very nice satin handles come with two different pairs of machine screw that most likely will fit most applications. In our case, depending on where the handle was located, I had to cut the longer set to the correct length. Rated 5 out of 5 by Glossy from Bought Step Edge 4" as replacement for original 10 year old kitchen cabinet pulls. Very nice sa... Bought Step Edge 4" as replacement for original 10 year old kitchen cabinet pulls. Very nice satin nickel look - Impressive looking once installed - Very solid and easy to install.